You can download - free of charge - the entire document below. 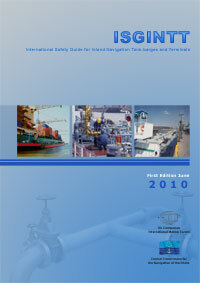 Paper versions of the ISGINTT safety guide are available on request. Please use the Contact Form to receive more information. This Guide was produced in English and translated into Dutch, French and German editions (“the Editions”). The official text of this Guide is in English. In the event of any differences between the English text Guide and any or all of the Editions, the English text Guide will take precedence. Please note, that even though the Guide and its different language editions were produced with great care, they may not be accurate at places, in particular because of translations errors. The users of the ISGINTT are invited to transmit comments and suggestions for corrections, improvements to be included in future editions. Please use the Feedback Form for transmitting general comments or concrete proposals. You may download also individual chapters. The Spanish version of the appendices can be downloaded here.